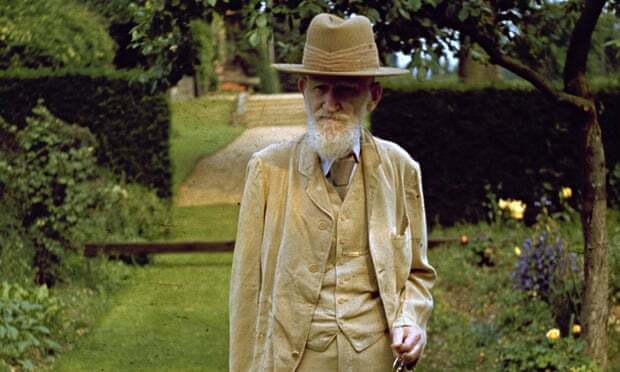 At first sight Bernard Shaw’s Man and Superman, which opens at the National Theatre this month, is a complex, monumental composition – “quite the biggest thing he has done”, decided Beatrice Webb, to whom he had read it over “three delightful evenings”. But, she added, it was “not a play”. It was, however, many other things, beginning with a long Epistle Dedicatory in the shape of a letter to Arthur Bingham Walkley, the theatre critic of the Times, who regarded Shaw as a brilliant journalist but an awful dramatist; and ending with some clever revolutionary sayings purported to be written by the central character of the comedy, John Tanner (“Member of the Idle Rich Class”). Altogether it struck Max Beerbohm, who succeeded Shaw as theatre critic of the Saturday Review, as a “complete expression of the most distinct personality in current literature”. Nevertheless, he came to the same conclusion as Beatrice Webb: Shaw was playing with everything and yet he was no playwright. “Every phrase rings and flashes,” Beerbohm wrote. But this brilliant lucidity and mastery of dialogue was “quite unsuited to the stage”. Shaw subtitled the book “A Comedy and a Philosophy”. He had begun outlining his dramatic philosophy in the early summer of 1900. It took the form of a dream inspired by Mozart’s Don Giovanni in which four of the characters from the comedy are transformed into their 16th-century prototypes. The revolutionary Tanner becomes Don Juan; Ann Whitefield, the women who is determined to marry him, appears as Doña Ana de Ulloa; her conservative guardian (mingled with aspects of her dead father) appears as a living statue; and the devil resembles the leader of a group of brigands who have captured John Tanner in the Sierra Nevada on his flight from Whitefield. In Shaw’s published version, this dream appeared in Act III of the play. In the theatre it was called Don Juan in Hell and placed “Beyond Space, Beyond Time”. Fabian Society, he believed that, even in an imperfect democracy (women still did not have the vote), it was possible to make radical reforms through ideas rather than the ruthless use of money or the tedious habit of parliamentary cockfighting. But he was becoming demoralised. He had built up a large readership which enjoyed what he wrote but dismissed him as a joker. The end towards which these dialogues led him was the theatre. His first group of plays, called Plays Unpleasant, dealt with social ills such as slum landlordism and the thriving business of prostitution. They revealed how tainted money supported respectable people in a capitalist society – and this shocked and disgusted his meagre audiences. The next group, Plays Pleasant, focusing on “life, character and human nature”, bewildered people. All these plays, together with his next collection – uninvitingly titled Three Plays for Puritans – would eventually make him rich, but did not financially support him until he reached his 50s. To make a living, he had to keep on reviewing the arts. His reviews sometimes read like election manifestos urging us to vote for modern painters and composers – Whistler and Wagner – rather than more conventional artists from the past. He challenged readers not to be frightened of social change and argued that years of prolonged safety would destroy us. His trenchant theatre criticism, praising Ibsen as the most significant dramatist of the time, attempted to prepare audiences for his own plays. But he came up against the same problem. When he wrote “philosophically” few people read him; and when he used comedy, no one took him seriously. There seemed no way of combining comedy and philosophy until he wrote his 12th play, Man and Superman. Everything was to change when the Court theatre in London’s Sloane Square came under the control of the actor-playwright Harley Granville-Barker in partnership with the financial manager JE Vedrenne. From 1904 to 1907, they established a repertory system of contemporary plays that was to change the culture of British theatre and attract new audiences. Shaw decided to put all his intellectual goods in the shop window of the Court “under the sign of Man and Superman”. Unlike the West End theatres, which had based their trade almost exclusively on celebrated actors from Henry Irving and Ellen Terry to Herbert Beerbohm Tree to Mrs Patrick Campbell, the Court theatre looked for modern plays and specialised in ensemble playing. 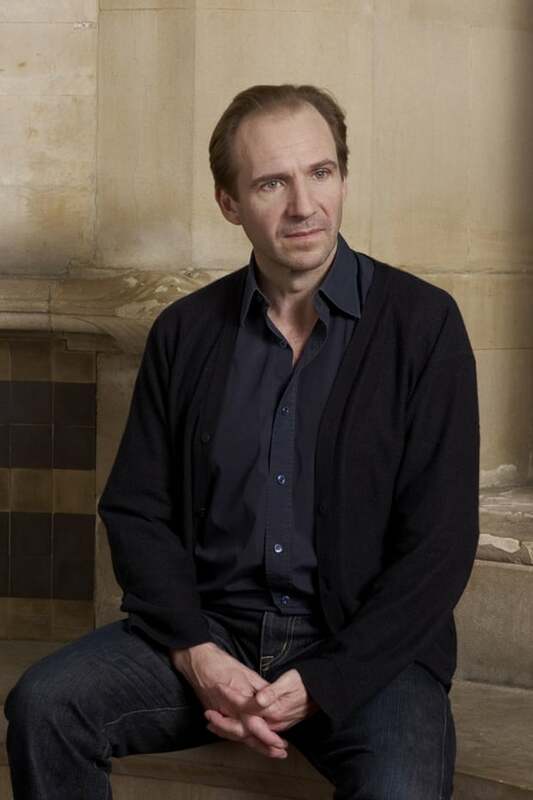 Each character, however small the role, was given serious attention at rehearsals. “There is no such all-round acting in London as is nowadays seen at the Court theatre,” wrote AB Walkley. And Desmond MacCarthy, who was to write a history of the Court, described the enterprise as challenging the highest standards in the theatre, sharpening the eyes and expectations of critics. The Court was an intimate theatre with a maximum audience of 600 people who appeared to be looking into rooms from which a wall had been removed. The short-run system was risky but it kept the plays fresh. It was an experiment that both Barker and Shaw hoped would lead to a National Repertory Theatre – but they did not live long enough for that. In the final summer of 1907, Don Juan in Hell was given eight performances. No attempt was made to produce the two plays together until 1915 at the Lyceum theatre in Edinburgh. During the next hundred years, there were several productions of the comedy and the philosophy in their edited entirety. One difficulty was that the two unedited works together lasted a good five hours. Another problem was that Don Juan in Hell was like a rhythmical piece of musically inspired rhetoric, rather than a conversation within the play. It sometimes appealed more to writers than to actors – the quartet of writers who most famously read it in public were Norman Mailer, Gore Vidal, Susan Sontag and Gay Talese at the Carnegie Hall in New York in 1993. In this dream sequence, Shaw divides human territory into three partitions: Heaven is the natural home of Don Juan; Hell belongs to the devil; and Purgatory describes our life on Earth, which is best remembered by the other two speakers, the statue and Doña Ana. These divisions of human beings are similar to those in Shaw’s critical essay “The Quintessence of Ibsenism”, first published in 1891. The realist is a pioneer essential for the evolution of human beings; idealists are frightened by change and use their cleverness to justify the status quo; and the philistines are the easy-going majority, content to substitute custom for conscience. Shaw had been born with a dark Irish view of human nature similar to that of Samuel Beckett. But whereas Beckett used and even exploited this darkness, Shaw introduced a bright moral torch of optimism to repel it. The philosophical argument in Act III becomes a duel between his two alter egos: the realistic optimism of Don Juan versus the easy idealism of the devil, both arguing to gain the endorsement of Ana and the statue. MacCarthy, who saw the comedy and the philosophy separately at the Court theatre, thought it would be a mistake to join them together as a single stage drama. This was not because it seemed that the devil was getting the better of Don Juan, some of whose lengthy speeches have an air of panic: his objection was that the comedy was brilliantly self‑sufficient by itself, while the philosophical scene would only interest people who enjoyed an abstract debate. What also worried him was his belief that if audiences understood the moral philosophy that the comedy was meant to illustrate, it would lessen their amusement. For it suggested that our intelligence and imagination, our will-power and emotions have not sufficiently advanced to make proper use of democracy. Don Juan advocated free love. He argued that the creation of genius must be left to the future children of men and women. But this would not come soon enough unless we dramatically changed our culture and morality. Marriage was narrowly constrained by social class, ethnicity and money. We had to become more efficient if we were to avoid destroying ourselves ecologically or through weapons of destruction. More practical than marriage is free love – and plenty of it. Sexual attraction is an instinctive device planted in us by the Life Force, and morally we must obey it. Better that a woman has 12 children by 12 different men than by a single man. Such a radical change in our morals, MacCarthy believed, would alienate audiences that had otherwise enjoyed the comedy. But after the second world war, MacCarthy saw Man and Superman in its entirety and changed his mind. In a BBC talk he described it as “a marvellous example of Shaw’s power of making the eloquence of ideas as riveting as action on the stage”. British culture had greatly changed after two world wars and all things seemed possible. But the length was still a problem. One solution seemed to be for the BBC to make an audio recording of four actors giving a platform reading of Don Juan in Hell, broadcasting it on weeks when the comedy was being performed. A bolder solution was tried by Helena Kaut-Howson in a production of the entire Man and Superman at the Glasgow Citizens theatre in 1991. With editorial skill, the time of the whole performance was cut from more than five hours to little more than three. This will be a challenging precedent for the National Theatre’s centenary production.